Last Sunday, 23 February, 2014, the No. 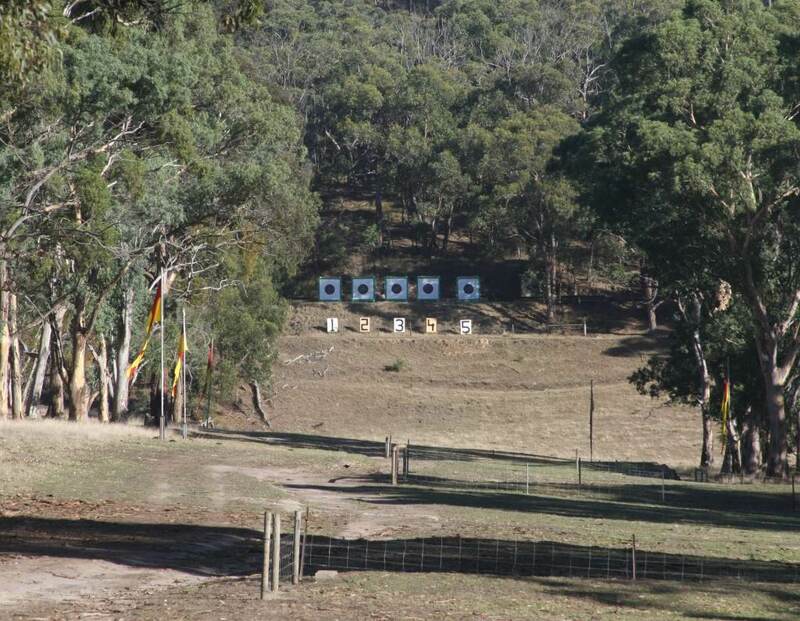 2 DRA Open Prize Meeting (3 stages x 600 yards) was held at Mount Barker Rifle Club, SA. HEXTA designer Dmitri Kazakov came first at A grade with the TR badge. For a full report, see the Mount Barker RC and Roseville RC websites. On the Saturday before the event HEXTA engineers conducted accuracy tests on the five targets to be used in the competition. 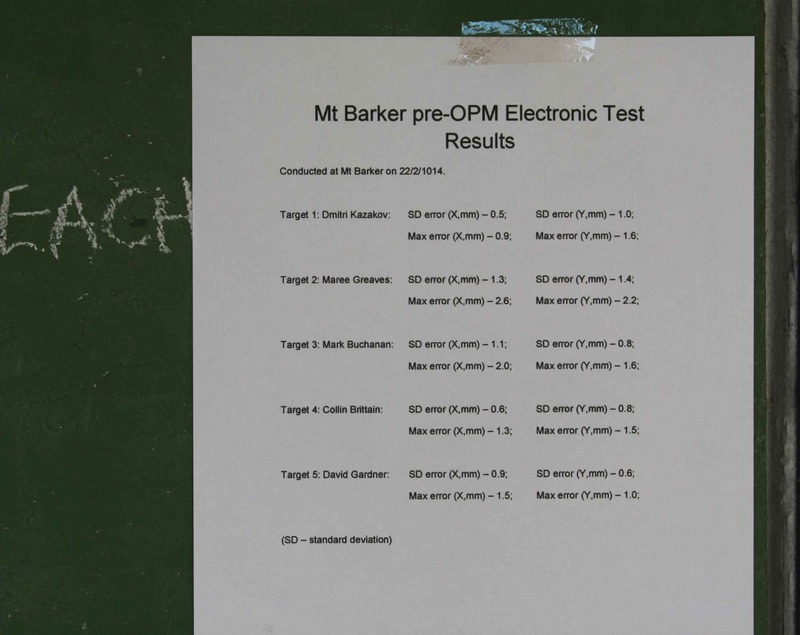 The raw data and results (see HERE) were available for the shooters during the event. The results show an average linear error of 2.5 mm (0.009 MOA) at 1,000 yards. The key to this performance is HEXTA’s unique 8-sensor technology 1. We are confident that the HEXTA-002 is the most accurate long-range electronic target system available today. 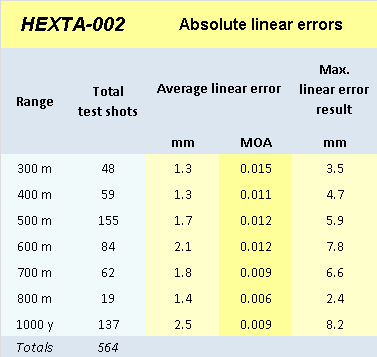 See the HEXTA-002 accuracy results.